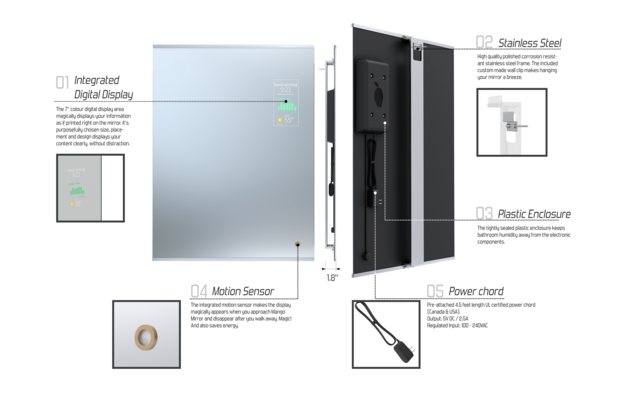 Biohacking : Mango Mirror Helps with Health Data « Adafruit Industries – Makers, hackers, artists, designers and engineers! Mirror mirror on the wall who is the healthiest of them all? Smart mirrors are no stranger to the Adafruit blog. We have covered several different DIY builds and commercial products, but they all have been focused on to todo lists, news and weather. What if your magic mirror was themed to help you perform at you maximum? 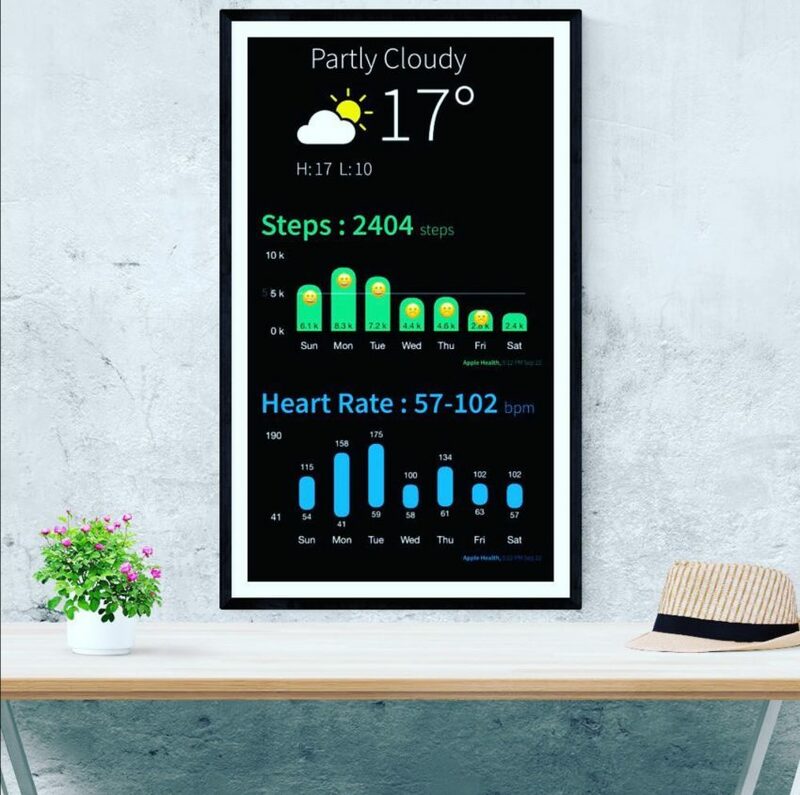 Mango mirror makes it easy to display Apple Health data and other fitness tracker data such as activity, vitals, weight, nutrition and sleep. This smart mirror can be created from several popular devices. An Android tablet, Kindle Fire, or a Raspberry Pi running MangOS can all drive the display. The timing and layout of the data being shown is controlled through the Mango Mirror iOS app which does require a subscription for full functionality ($2 /mo). While a tablet is an affordable way to roll your own smart mirror a Raspberry Pi has some more abilities. One neat trick that the Pi can do is to add a PIR (motion) sensor so the display pops up when a person is present. Another add on option for the Pi is to use a bluetooth dongle to detect different users (based on the cell phone) and bring up a custom profile. Mango mirror is currently sold out of their pre-fab models, but you can see from the design that the assembly is required to roll your own is quite minimal. Below is a list of Adafruit components which can be used to get your own setup started. The only thing that needs to be purchased outside of Adafruit is two way plastic mirror. Finally, the creator of Mango Mirror “DaveD” has a personal story which led him to create this device. 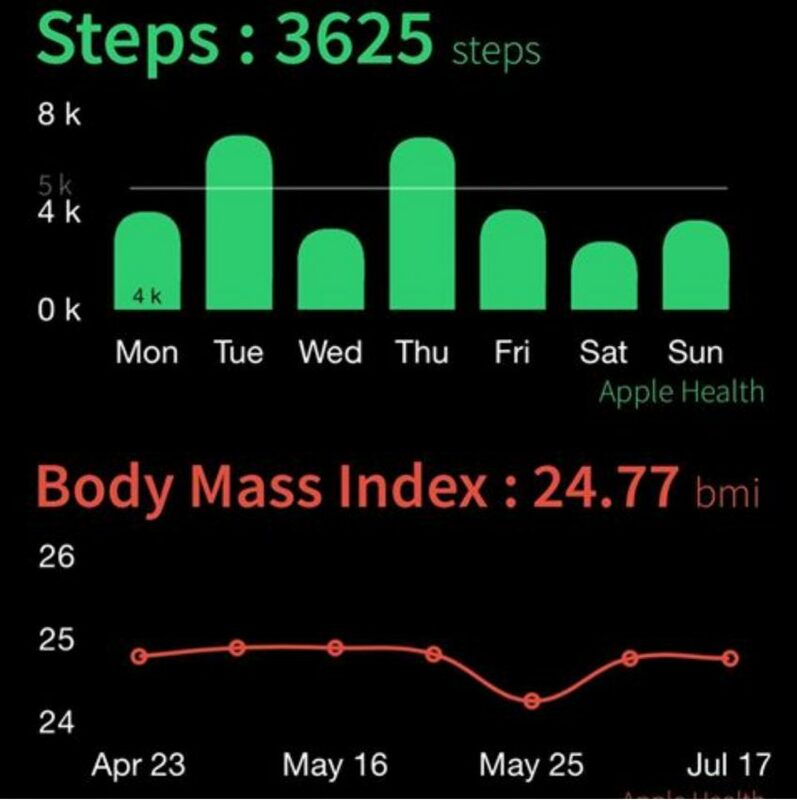 After watching family members suffer through health issues and try to manually track different health parameters in separate apps he set out to create a personal dashboard that could be combined with daily routine. It was while facing this problem that I came to the realization that what we need in our personal lives is exactly what businesses and hospitals have been using for years. A personal dashboard that provides you with the information you need, at the right time, in the right place. Allowing you to take control of your body, life and day ahead. And I believe that enhancing your daily routine with visibility into your key health and activity data will motivate and empower you to make great choices in the day ahead. Chris Young won a free Mango Mirror in a contest and shares his personal experience in this four minute video. Chris really liked this device because it worked so well with his FitBit wrist tracker and FitBit scale.